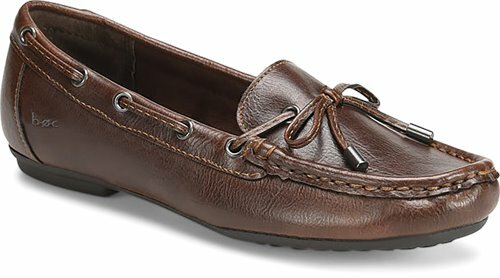 A versatile moccasin with cool, contrast stitching. The Carolann is so comfortable, we won't blame you for scooping it up in a few colors. I like this casual and comfortable style so much that t bought it in gray, taupe, and brown. Wish it came in red.